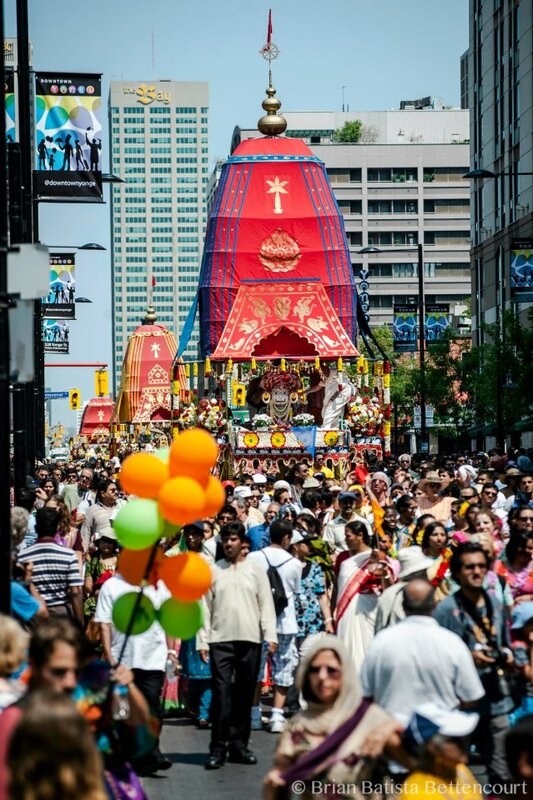 Festival of India (Ratha-Yatra) ~ The Toronto Hare Krishna Temple! The past four decades have witnessed the Festival of India blossom into one of Toronto’s most dazzling, head-turning summer events. And last year the chariots and festivities rolled into the city for the 40th time. 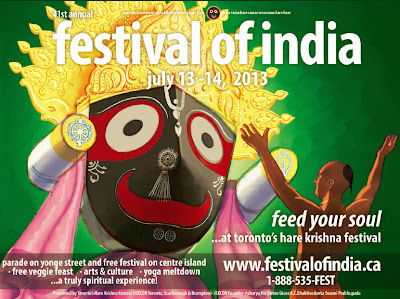 This year again be sure to mark your calendars and come visit the 41st Annual Festival of India (also known as Ratha-Yatra) from July 13th - 14th, 2013 for an unforgettable experience. Toronto’s 41st Annual Festival of India will launch with a spectacular parade on July 13th at 11:00am that will cruise down Yonge Street, beginning at Yonge & Bloor, and make its way down to the lake. During the parade, three ornate, 40-foot tall floats will be hand-pulled by participants amidst ecstatic singing, drumming, and dancing creating a wondrous, carnival-like atmosphere. For 40 years, this annual parade has brought the splendour and tradition of India’s spiritual roots to Yonge Street, generating a vibe like no other summer event in the Greater Toronto Area. Location: Starts at North of Yonge & Bloor - in front of the Toronto Reference Library. The festival is open to and free for the all. 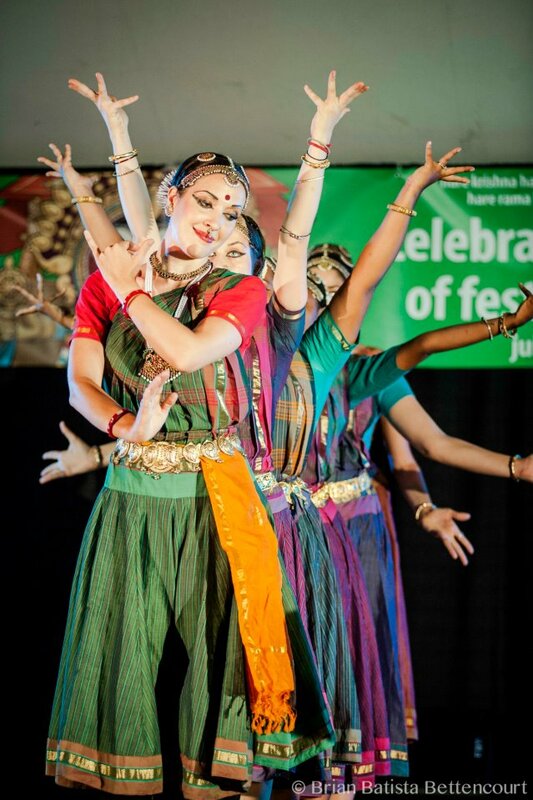 With its diverse assortment of celebrations and activities, the 41st Annual Festival of India at Centre Island is sure to offer something for everyone! 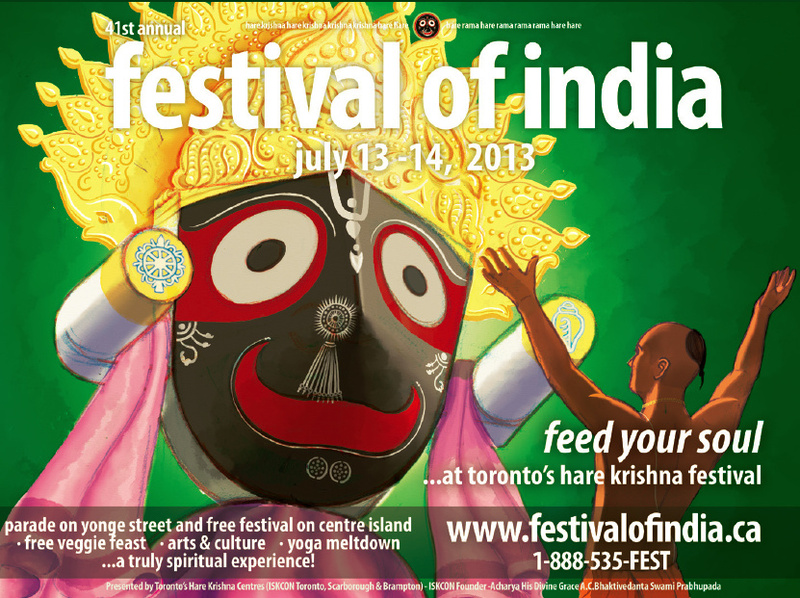 Visit www.festivalofindia.ca for more information!